Moisturizers, vitamins, face scrubs and washes aren’t the only things you need to have healthy, glowing skin. Fruits are a beneficial addition to the everyday skincare routine and can help reduce the signs of aging, brighten a dull complexion and contribute to your overall wellness. Incorporating a variety of fruits along with a healthy diet will promote clear skin. Here are some fruits that will gradually promote beautiful skin. 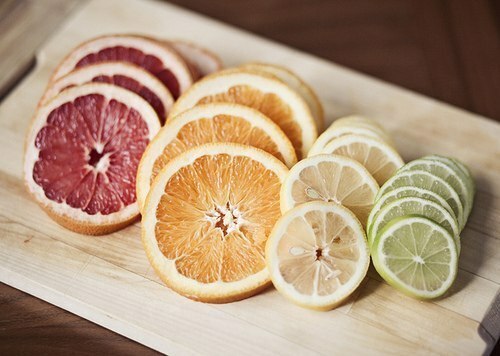 Oranges, grapefruit, lemons and limes are some of the best citrus fruits for your skin. They contain high levels of Vitamin C, which not only has powerful antioxidant properties, but also promotes smoothness of the skin. A diet rich with Vitamin C can also help protect your skin from sun damage and lower your risk for skin cancer. You can incorporate more citrus fruit in your diet by adding lemon or lime slices to water, or eat an orange or grapefruit with your breakfast. Strawberries, blueberries, blackberries and raspberries are not only yummy, but full of Vitamins A and C, which can also help reduce skin damage and prevent or reduce the occurrence of acne. These berries have deep hues of purples and reds, which means that they contain high concentrations of antioxidants. Make a berry smoothie or add some into your yogurt. Avocados are loaded with vitamins, antioxidants and healthy fats, such as unsaturated fats and Vitamins B, C and E that can boost your complexion. Vitamin E is fat-soluble, which means that you need an adequate amount of healthy fat for your body to absorb it. Avocados also contain more potassium than a banana. Even though avocados have healthy fats, they are also high in calories, so eat in moderation. You can make healthy guacamole and eat it with tortilla chips. Mangoes are a good source of provitamin A, a precursor that your body will convert into Vitamin A to protect your immune system and promote growth and development. Along with Vitamin A, one-half cup of sliced mango has 40 percent of your daily value of Vitamin C, which helps keep your complexion clear and smooth. Time to stock up on some mangos ASAP! Pineapples are filled with nutrients, which includes Vitamins B1 and B6. Vitamin B1 prevents skin conditions that affect areas around the mouth, and Vitamin B6 may help prevent skin disorders and cracks from forming in the skin around your mouth. Some people may be allergic to pineapples, so taste test before you decide to incorporate pineapples into your daily fruit intake. Fruits are tasty, nutritious and can help you achieve the smooth skin you’ve always wanted. Raw fruits instead of processed fruit juices would be ideal because they contain the most nutrients. Some fruits do contain a lot of sugar, so eat them daily, but moderately. Diced pineapple on pancakes with maple syrup (we use regular back home since we make it, but fake is good, too) is a great way to get pineapple into your diet. It's the only way my sister will eat them! If you haven't cut mango before, I recommend looking it up. There are some helpful tips all over Google that makes it easier to get the most out of the fruit! Thanks for the tips! I have been fighting with bad skin since I was 9, so I'll try anything at this point. More fruit, it is!